At any given moment in time, our nation’s social service agencies are caring for approximately 5 million children and youth. These children show up in our schools while facing a host of challenges in their lives ranging from homelessness to foster care placement to incarceration. They are also navigating complex webs of adults — caseworkers, social workers, teachers, probation officers, mentors, therapists, judges, lawyers, etc. — all working on their behalf simultaneously. When these adults do not communicate effectively, services are duplicated, resources are wasted, and additional burdens are placed on the child to make sense of competing agency and programmatic demands. This problem is a direct consequence of the fragmentation that exists within and across the schools, government agencies, nonprofits, and community organizations that serve young people. Mitigating, and ultimately eliminating, this fragmentation is crucial for ensuring that vulnerable youth receive comprehensive, streamlined support services to help them grow into successful adults. Doing so will require rethinking and restructuring the ways in which social service agencies interact with schools, with one another, and with the children in their care. 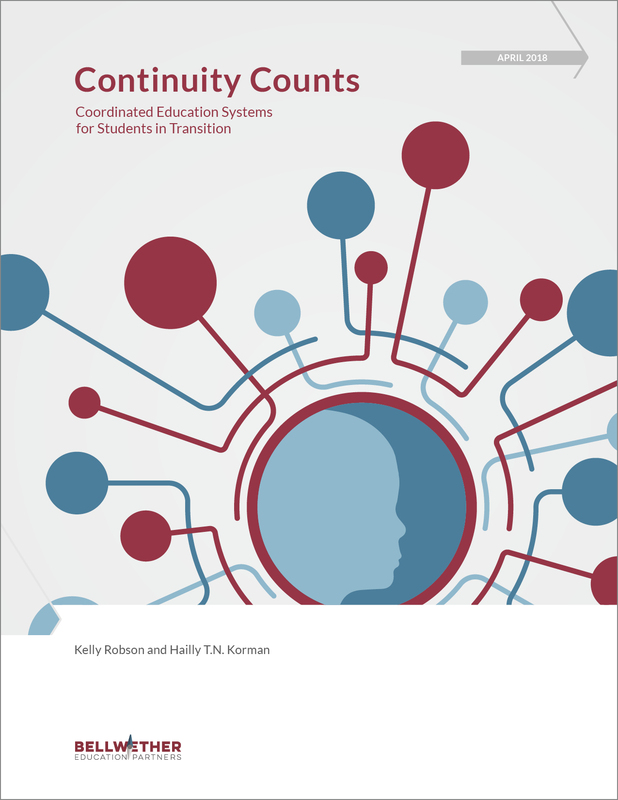 Continuity Counts: Coordinated Education Systems for Students in Transition makes the case that the education system can serve as an effective through-line for the children and youth experiencing traumatic life experiences by using two key levers for change: continuity of people and continuity of information. Improving the continuity of people — by, for example, identifying a single adult to serve as a child’s “chief of staff” — will help ease the burden currently placed on vulnerable children and youth of navigating complex bureaucracies and myriad adults. Improving the continuity of information can eliminate frustration related to missing or incomplete data and records. The approach we took in writing this paper differs dramatically from most other policy reports. We began by engaging the children and youth who are directly affected by agency fragmentation through a human-centered design process. This process began by talking with the young people and agency staff members who experience agency fragmentation on a daily basis. As a result, the ideas and recommendations offered in this paper are a direct reflection of the needs, wants, and constraints of these individuals. As policymakers and agency leaders undertake efforts to improve cross-agency coordination and mitigate agency fragmentation, they must address both the continuity of people and the continuity of information. They must also keep at the forefront the needs of the young people served by their agencies in order to fully address the problems they face.